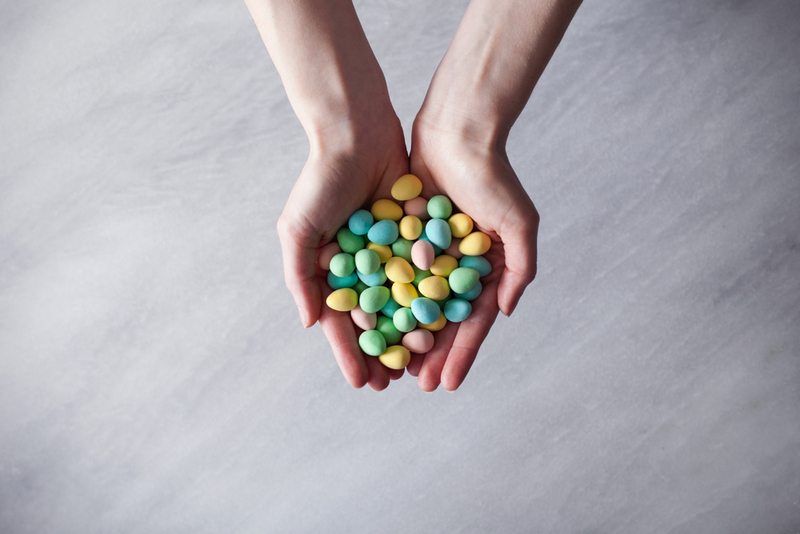 it's that time of year again.. chocolate mini eggs season! instead of just eating them by the mouth full, i decided it was time to bake with them. 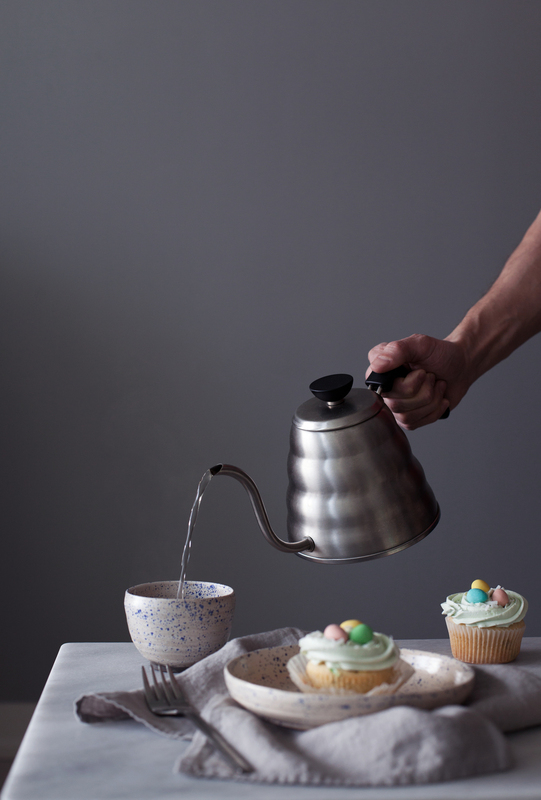 this shoot quickly turned into a full blown mini egg shoot, i think i could have done a whole blog post on them alone! cupcakes seemed like the perfect little treat for me.. err the easter bunny. 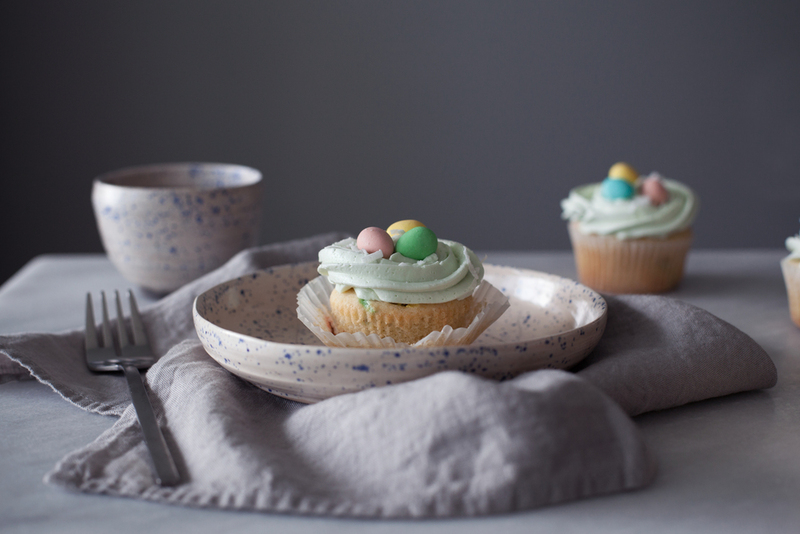 a vanilla based cake with chunks of mini eggs, topped with a creamy vanilla buttercream swirl. in the bowl of a stand mixer cream butter and sugar. add the egg & egg white, mix until light and fluffy. mix in vanilla and oil until combined. in a separate bowl sift the flour, baking powder, and salt. gradually add to stand mixer at low speed, alternating with the milk. 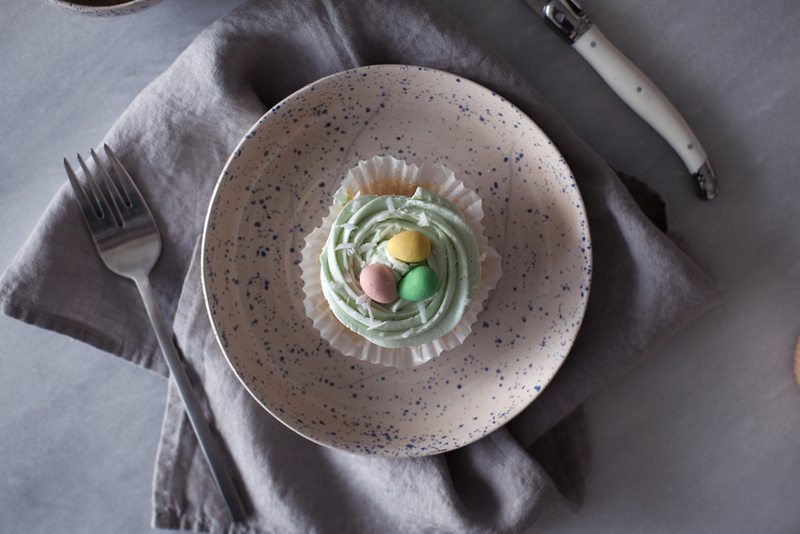 beat until batter is smooth & fold in mini eggs. divide batter evenly amongst 12 lined cupcake tins. for the frosting add all ingredients in the bowl of a stand mixer and whip until light and fluffy, about 8-10 minutes. frost as desired. sprinkle with shredded coconut & top with mini eggs. like what you see? get it here. ceramics by the freaky raku!